Happiness, apparently, was making my bed (??) 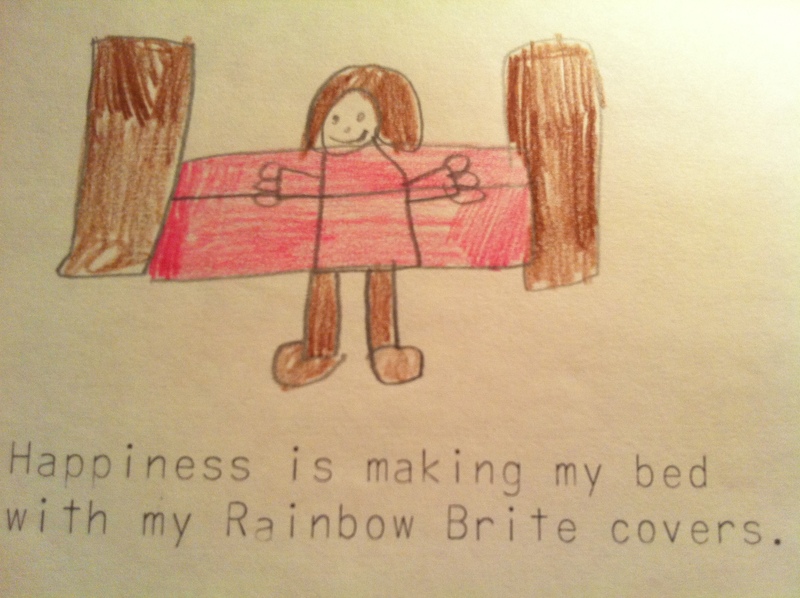 with my Rainbow Brite covers. Remember when things were that simple? Off for a sunny walk with the little man. Resolution post shortly!